I have been blogging for about five months now and I have been struggling to give my blog the attention it deserves. This has been a mixture of exam stress but also not really knowing which direction I wanted my blog to go. When I first started my blog it was focused on beauty, fashion and lifestyle, but recently I have been leaning towards focusing it on books. I am just trying to create a good balance so it may seem like a bit of a mess of lots of different ideas at the moment but bear with me! 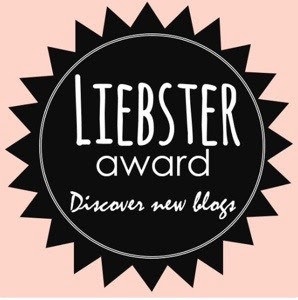 Anyway, so Rosie from Rosie Read Romance nominated me for the Liebster award, you should all go and check out her blog, it's brilliant! I have already done one of these which you can find here but I have decided to do it again with the questions given by Rosie as they are focused on books! Answer the eleven questions he/she asks. Ask these eleven bloggers eleven questions. Let these eleven bloggers know that they have been nominated. 1. What's been your favourite book that you've read this year (so far)? I have not been able to read as much as I would have liked to so far this year, but at the moment The Secret History by Donna Tartt definitely stands out, it was one of those books where people kept on telling me I would love it to the point where it had been pushed in my face so much that I almost didn't want to read it. It's safe to say that I am glad I did, not only is it the best book I have read this year, but I would also say it is one of the best books I have ever read! 2. What book are you most looking forward to reading this year? Ohh well I just read Thirteen Weddings by Paige Toon, it was only the second of her books that I have read and I loved it so much that I have ordered all of her other books and they are now on their way, I can't wait for them to arrive, I predict that they will result in many late nights! 3. Which book do you feel like you should have read but you never have? I suppose the LOTR books, I have read the Hobbit but I found it such a trek to get through so I never made it any further. 4. Which book have you never been quite able to finish? The only book that comes to mind is the 13th Lemony Snicket book in A Series of Unfortunate Events. I managed to get through the first 12 even though personally I felt they went a bit down hill after number 8. It bugs me to this day that I didn't quite get to the end, I need closure! Maybe this summer I will get it read. 5. What's the first book you remember reading? I was read to a lot as a child but the first book I can remember reading myself was the Milly Molly Mandy books which I absolutely loved. 6. A book you didn't think you'd like but ended up loving? I feel like I talk about it a lot, but I would have to say The Secret History by Donna Tartt as it markets itself as a murder mystery, detective sort of book which is not at all the sort of book I would go for but it proved me wrong and I loved it. 7. Whats the book that you recommend most often? One Day by David Nicholls or Elsewhere by Gabrielle Zevin, both of which I remember recommending to anyone who would listen. They are two of my favourite books and I wanted all my friends to love them too! 8. Do you prefer to use the library or buy books? I wish I used the library more often but I love to own books so I do tend to buy them either in charity shops, off amazon or from book shops. I remember one time my friend lent me a book and I loved it so much that I felt as though I physically had to own it, so I went out and bought it. I haven't opened it since but I find it comforting that it's there if I ever want to flick to my favourite parts! In the bath- this may sound horrific to you and some of you would be shocked at the number of my books that are crinkly and water damaged, but I find that in the bath is the only place where I can 100% focus on the book and I find it relaxing. There is also a place between my bed and the radiator and in the winter when the heating is on I like to sit with my back against the radiator and read. Nothing specific, just whatever is in the house along with an endless supply of tea and coffee. 11. Other than reading (obviously) what's your favourite hobby? I used to love sewing although I haven't had the time to do it recently, I am also starting to knit- oh the exciting life I lead! Which book has made you feel the most emotions? Which fictional character would you most like to be? Is there a book that has been hyped up that you then found to be disappointing? Is there a book that has made you look at your own life differently? Do you like film adaptations- are there any good ones you can recommend or bad ones you can warn us about!? Do you look at online reviews before buying a book? I would love it if you could let me know if you answer the questions so I can give them a read, and thanks again to Rosie for nominating me!